The benefits of beets are great! Beets are low in calories and a powerhouse of nutrition. This vegetable contains vitamins, minerals, fiber, antioxidants and nitrates. Sources include: potassium, folate, manganese, copper, iron, phosphorus, fiber, antioxidants, vitamin B6 and C, as well as natural nitrates. 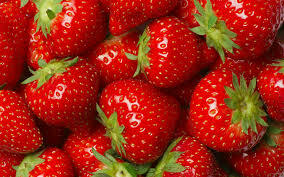 The unique source of phytonutrients called betalains, (specifically Betanin and Vulgaxanthin), provide antioxidant, anti-inflammatory and detoxifying support. 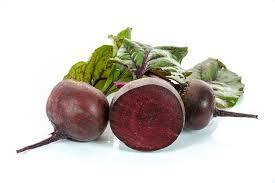 Beets contain betalain pigments of red/violet/yellow. The benefits of beet juice includes receiving 100% of phytonutrients compared to cooked beets. Betalains are not heat stable. They lose nutrients as cooking time increases. Eat antioxidant foods to improve the condition of skin and boost the immune system. Beets contain benefits of antioxidants! Antioxidants protect cells from unstable molecules that cause free radical damage. They fight free radicals that attack our bodies on a daily basis. Free radicals speed up the aging process by breaking down collagen and reducing oxygen levels in cells. If there are not enough antioxidants in the body, skin can show evidence with poor conditions including: fine lines, wrinkles, pre-cancerous or cancerous lesions, saggy skin, age spots, discolorations and other pre-mature aged skin conditions. Benefits of antioxidants include: boosting immune system, assisting in skin repair, strengthening blood vessels, reversing skin discolorations, reducing fine lines/ wrinkles and protecting against sun damage. Looking for homemade skin care tips? Get the facts! Apple, avocado, apricot, asparagus, beans, beef, beet, berries, broccoli, brussel sprouts, cantaloupe, carrot, cauliflower, corn, dairy products, eggplant, grapefruit, garlic, grape seed oil, green pepper, green tea, kale, kiwi, mango, nectarine, nuts, olive leaf, onion, orange, papaya, peach, plum, prune, pumpkin, poultry, raisins, red grapes, red peppers, seafood, spinach, snow peas, soy, squash, strawberry, sunflower seeds, sweet potato, tangerine, tea, tomatoes, tuna, whole grains, yellow pepper. SHOPPING for BEETS: Look for smooth, hard, round beets. Avoid soft, moist or shriveled skin. They should have no cuts or bruises. Leaves should be small and dark green in color. 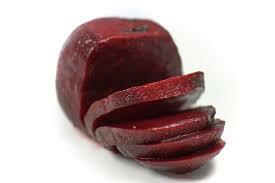 STORING BEETS: Place in refrigerator up to ten days. For regular sized beets, cut off greens before storing, leaving an inch of the stem attached. Do not remove greens from baby or tiny beets to allow more freshness. FOOD PREPARATION TIPS: Beets can stain hands and counter tops. Use gloves to avoid pinkish-red hands. Use counter top protection, like cutting board, to avoid stains. Clean with brush before use. Cut top. Peel. ATTENTION! 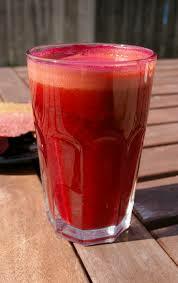 Whether eating or juicing beets be aware that your urine or stool may turn pink or reddish in color. This is normal.